Along with several law enforcement agencies across the U.S., the Franklin Police Department is receiving citizen reports of IRS impostors threatening arrest and property seizures unless they pay up. Fact: These calls are not coming from the IRS. The Internal Revenue Service will never demand payment over the telephone. Typical IRS communication comes in the form of U.S. Mail. 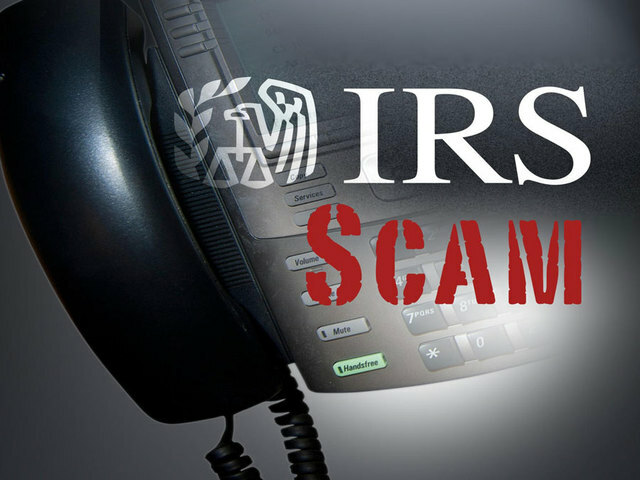 If you receive a phone call that you suspect is a tax scam, hang up and report it to your local law enforcement agency and the US Treasury, Office of Inspector General: (800) 366-4484. An eReport can be filed by clicking here. We got that call a few minutes ago and my husband got his laughs for the day messing with them. The guy was not nice–he called my husband a very bad name. I just received that very phone call not 60 minutes ago. Did not return the call. thanks for the alert. They’ve called my house about 4 times in the past week. We don’t answer and just delete the message. True key fact, the IRS does not call demanding money over the phone – you’ll get a letter if you owe! This happened to me. On November 16, 2015, I received a call at 10:26 am from (202)751-1163. They left a voice mail stating that the IRS was filing a law suit against me. They advised me to call them back at (202)751-1163.